It’s not really Resident Evil, but is it any good? In this line of work it’s pretty rare to shuffle into a company’s office for a hands-on and know little about what you’re going to see. 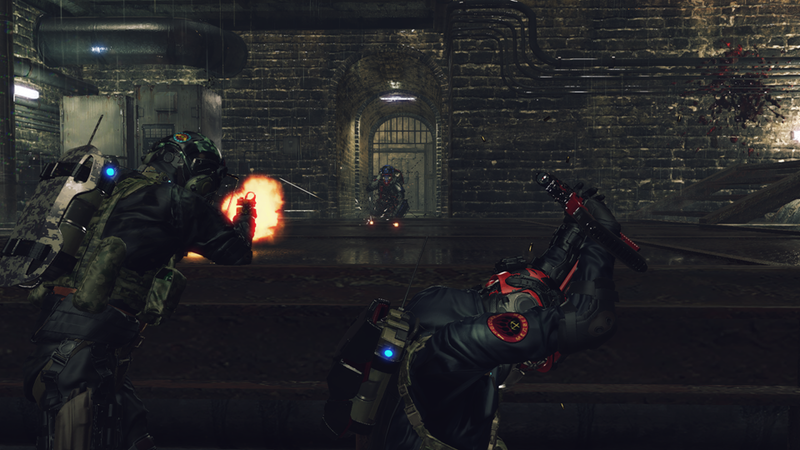 Umbrella Corps, a Resident Evil spin-off, was one such rare occasion for me. 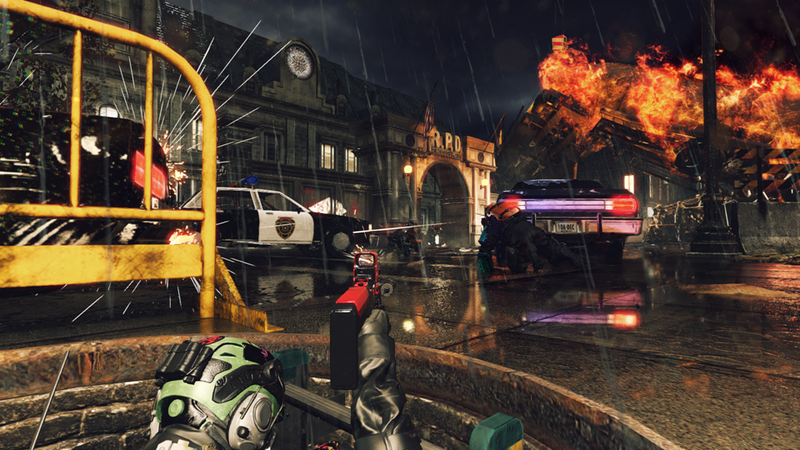 I knew it was a multiplayer shooter spin-off and not much else – so going in to play it at a hands-on event wasn’t dissimilar to what a Resi fan might experience if they pick this low-price digital title up on strength of brand alone. To say Umbrella Corps is a weird little game feels a bit of an understatement, and it’s fairly obvious to me why that’s the game’s name: the Resident Evil brand isn’t in the title, merely in the content. That’s likely to avoid fans getting furious that the game doesn’t really resemble the series at all. Players take on the role of gasmask-clad mercenaries who evoke classic Resi character Hunk, battle their way through iconic Resi locations and pick up herbs for health restoration – but the similarities are mostly superficial. The inspiration for Umbrella Corps, I’m told, comes from the fact that a lot of the Resident Evil development team play airsoft. That’s the paintball-style game that uses high-powered BB guns which closely try to match the abilities and spec of their real counterparts. I had an airsoft sniper rifle once; it was a hell of a toy. In the world of video games that translates to this: what if Resident Evil and the sensibilities of a Japanese action game had a love child with Counter Strike? 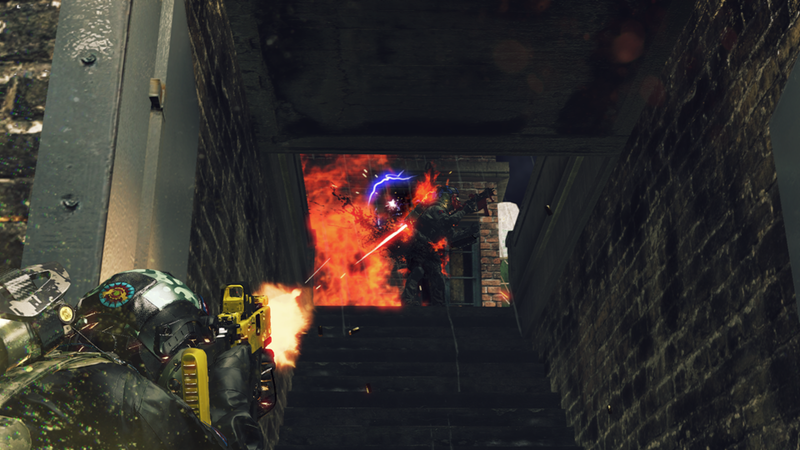 The result is Umbrella Corps, basically. 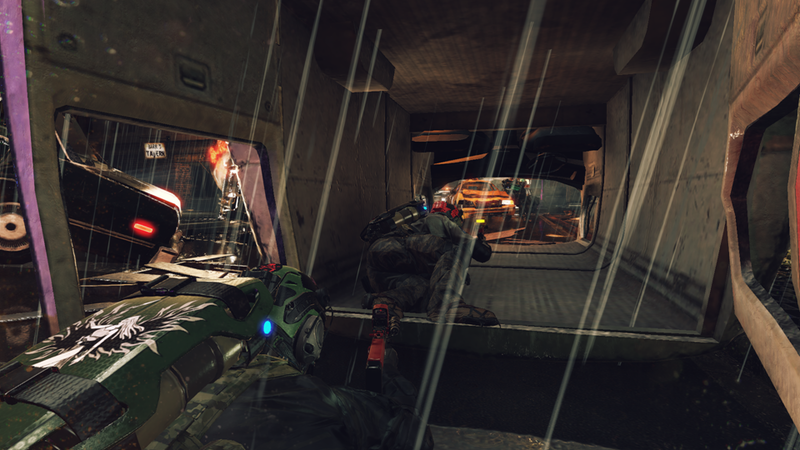 The single-player component of the game, The Experiment, sees you as a sole mercenary trying to survive missions of increasing difficulty while harvesting ‘DNA samples’ from the corpses of the zombies you down. The maps are small but dense-feeling, the kind you can run across in 30 seconds with multiple routes and verticality for flavour. They’re focused in a way modern shooter maps often aren’t, and to me are reminiscent of older console shooters in particular, like some of Goldeneye’s dinky maps. There’s some lovely fanservice in them, too. The Umbrella Lab and Tricell HQ are evocative of the series at large, but then the remaining four maps are actually quite specific: there’s Racoon City and the Police Station, both from Resi 2, The Village from Resi 4, Kijuju 12 from Resi 5 and weirdly the Antarctic base from Code Veronica. They’re lovingly created little tributes. 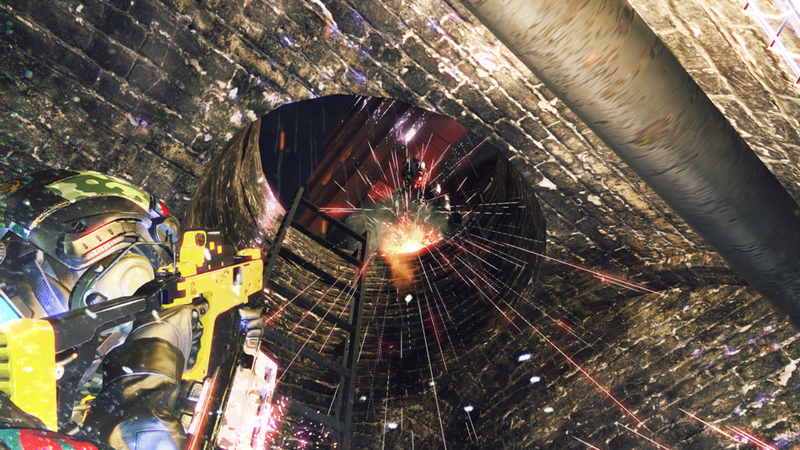 The levels are nice, but here’s the rub: The Experiment is really pretty crap. I spent the first half an hour of my hands-on playing it and at the end of that time was convinced Umbrella Corps was a bit of a disaster. There’s a clunky cover-taking mechanic that doesn’t seem to make sense since the zombies don’t shoot at you, and on harder levels zombies can mob you incredibly quickly. You die in about 5 seconds if they do mob you, ammo is weirdly scarce for a shooter, and generally it just feels like a weird, not-as-good version of Resident Evil Mercenaries. With that disappointment registered, we’re booted into some multiplayer sessions by a Capcom rep. This is where it all starts to make sense, and where the comparisons to Counter Strike – or any game without a single-player component – finally start to make sense. 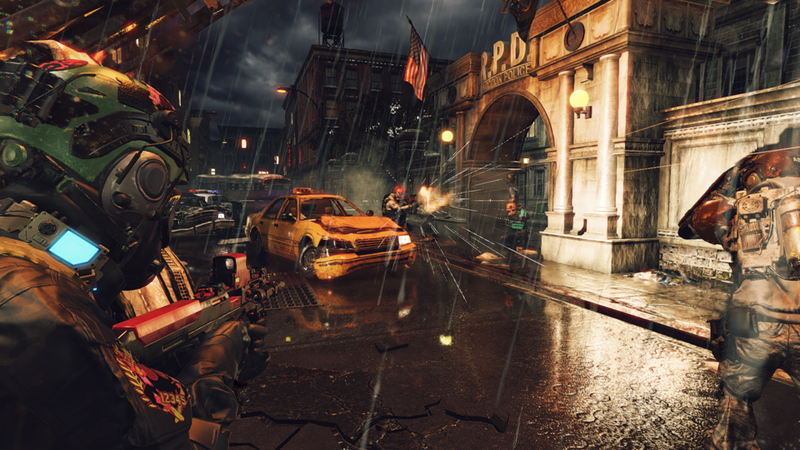 It’s true that there’s a greater clunkiness to the action than other games, particularly Western-made shooters. 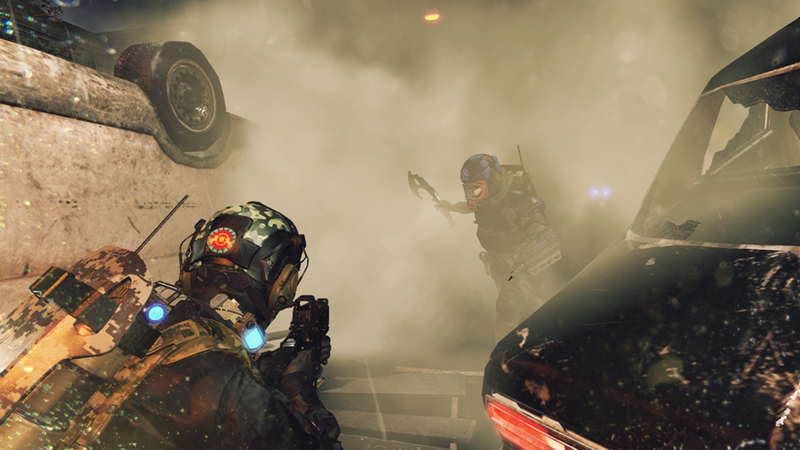 I think that comes from a developer unfamiliarity with a more frenetic pace, to be honest, but Umbrella Corps still feels pretty good moment to moment. All of the game modes are only 3 minutes long, with two teams of three battling to be the first to win three of those rounds. It’s simple and snappy, and an urgency is introduced very quickly indeed – when you reach the last minute, enemy positions are constantly revealed to you on the map. Within that there’s nine different game types. 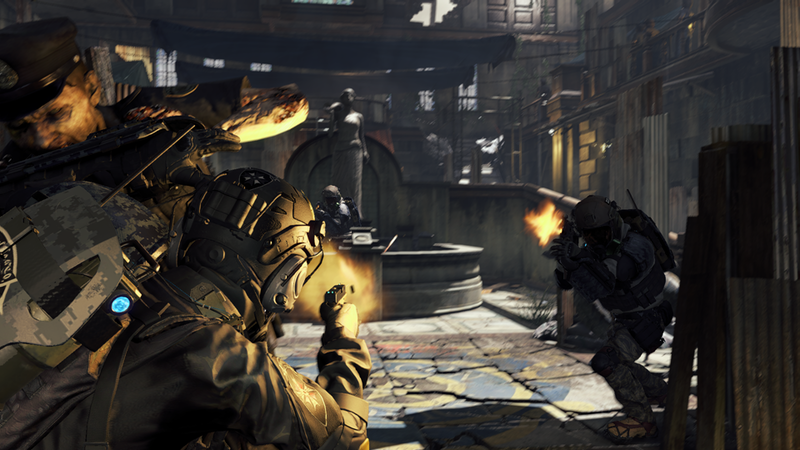 Many of these are familiar shooter concepts renamed to fit the Resi universe – there’s versions of VIP assassination, Team Deathmatch, King of the Hill, Capture the Flag, and Call of Duty’s Kill Confirmed. All work just fine, though the names and descriptions can be a little initially obtuse. Kill Confirmed is called Collar War, for instance, and a few people were initially convinced its objective involved killing zombie dogs and collecting their collars – which actually would make sense. 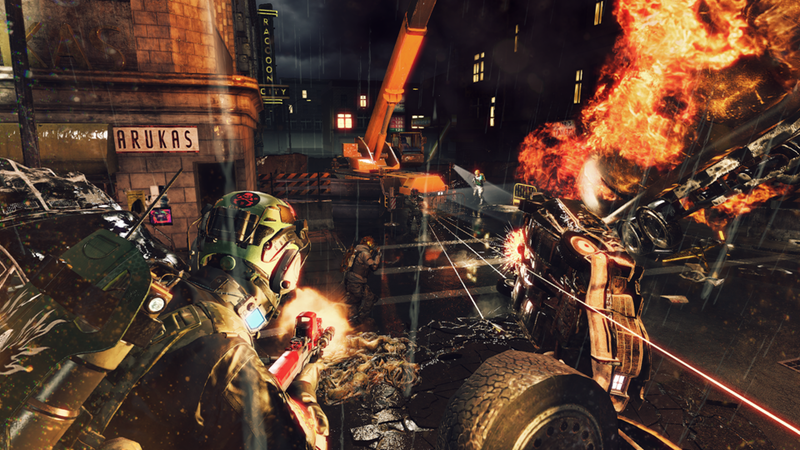 Levels are constantly populated with zombies as well as players, and two modes actually involve you trying to kill either all or certain types of zombie to harvest their DNA while trying to prevent the enemy team from doing the same. The first to a certain amount of DNA wins. The zombies are dumb but remain a threat – if somebody damages you a lot but fails to kill you, a zombie could shamble up behind you and deal the killing blow since this game has no regenerating health, just herbs scattered around the map that you walk over to consume. Better still, the modes that focus on zombies make for a distraction. I had a few great kills where I hid under a gurney in the Umbrella labs and waited for careless enemies to step out into the open to take out a nearby crowd of zombies. Before they could add to their team’s score, I’d gun them down. The zombie-target makes for a nice little tactical twist. It feels like a neat idea. Outside of battle there’s some standard-issue customization stuff with a variety of weapons you can use plus patches and different armor sets for your character. I gave my guy a bright pink helmet and a disgusting lime green gasmask, which probably made me a brighter target but it looked dumb, so I’m on board with all that. 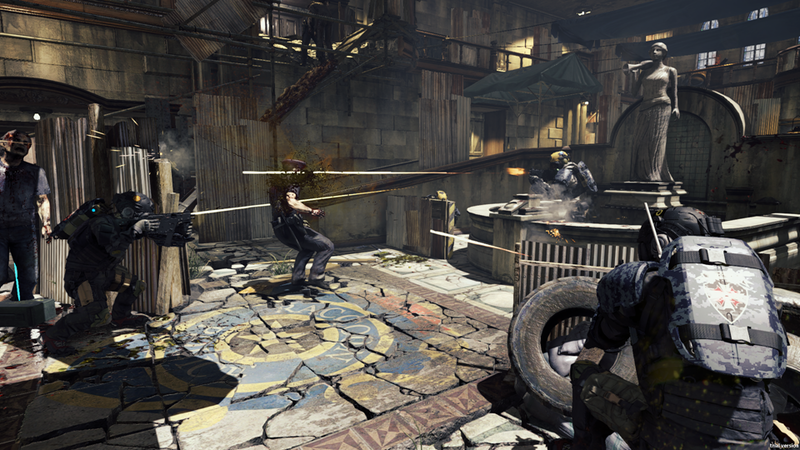 As I said about the combat, much of Umbrella Corps in multiplayer feels like a neat idea. There’s clunky controls (the cover mechanic is seriously messy), some very dodgy spawn points (sorry to the people on the oppossing team who spawned right in front of me and were gunned down immediately) and a camera that’s claustrophobically close to your character’s shoulder. That last one feels like a deliberate design decision, but even if it was, it’s the wrong one. With all that said… I still had fun with my time with the multiplayer. It’d be easy to dismiss it in hand thanks to its issues, but there’s a definite tension to things and there’s a satisfying speed and snappiness to the whole affair, from the ‘constantly bumping into enemies’ nature of the smaller maps to how the game objectives are so simple that a well-coordinated team can scoop a win in under a minute. Even taking into account that The Experiment is pretty rubbish, on balance I left more interested in Umbrella Corps than when I entered. I’m actually looking forward to playing more multiplayer when it releases – it’s the kind of game where if I can convince a couple of mates to pick it up, I reckon we’ll have great fun stomping people online, even with the spawn-killing. Also worth considering is that this isn’t a full-price game, but rather is $40/£25, a much more reasonable proposition. In this regard I feel a little bad for Umbrella Corps; it’s clearly a passion project developed on the side, and not intended at all to be a main Resi game. It’s priced and named like a spin-off, but it’ll still get dumped on by fans, as this game is the antithesis of the Resident Evil formula, be that the original plodding survival horror or the tense action of Resident Evil 4 onwards. I’m not quite sure if it falls into the camp of ‘good’ or ‘bad’ just yet, but I’m fairly convinced this might end up being one of my top guilty pleasures of the year in spite of its issues. 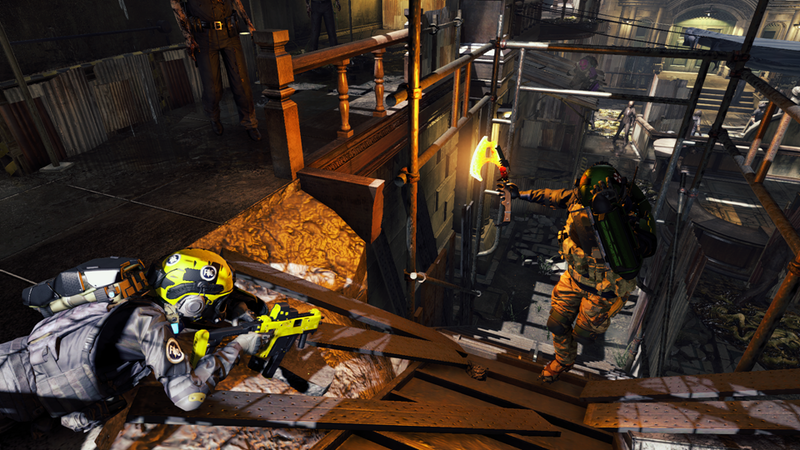 Umbrella Corps is out for PC and PS4 June 23.